The history of Thailand’s foreign language name reflects the ongoing debate over the nature of the country itself. Thais have traditionally referred to their country as ‘mueang thai’, meaning, ‘land of the Thai’. During the early modern period, foreigners adopted the Sanskrit word, ‘sayam’, a term most likely invented by Indian traders. 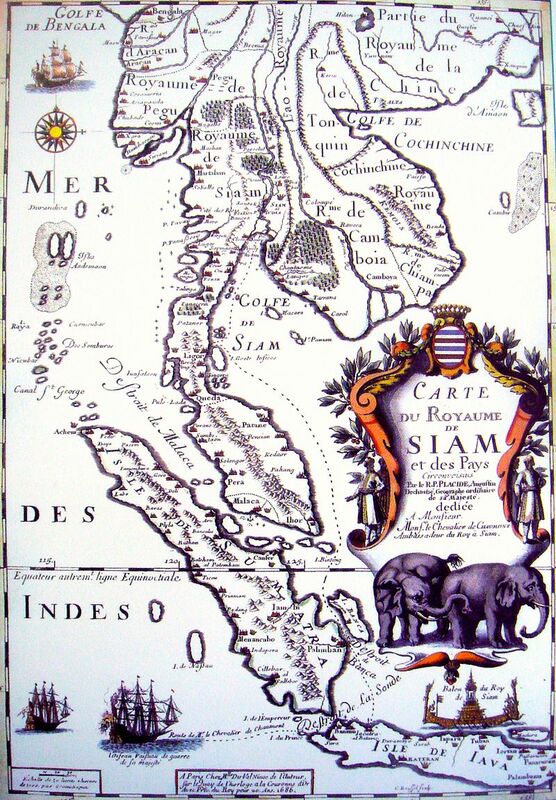 By the nineteenth century, the country’s official title used in English language treaties and correspondence was the ‘Kingdom of Siam’. British visitors labeled the inhabitants as ‘Siamese’, even though those people thought of themselves as ‘Thai’. In the twentieth century, a new generation of leaders attempted to move Thai society away from its royalist heritage. The military regime of the 1930s admired the race-based nationalism they saw in Italy and Germany and hoped to emulate its success at promoting unity. 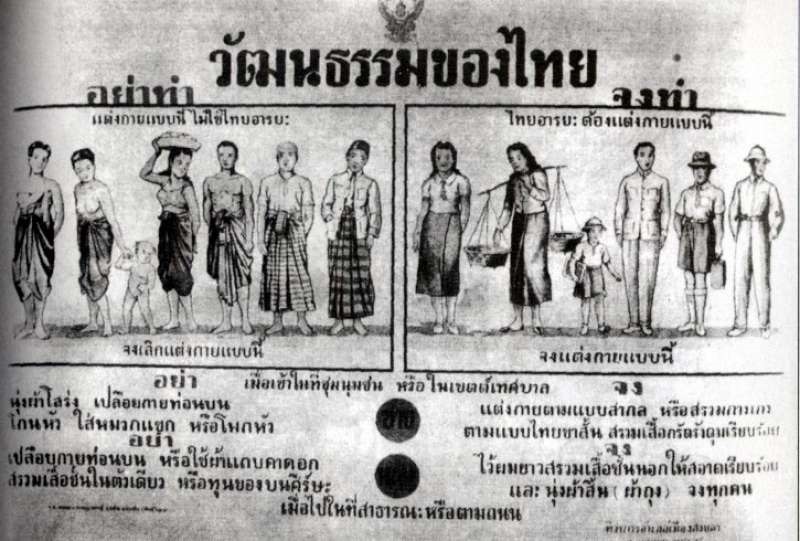 On 24 June 1939 the government issued an official edict changing the kingdom’s foreign name to ‘Thailand’. 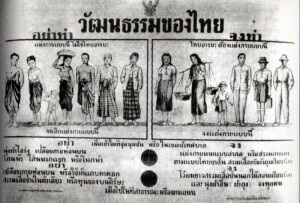 The Prime Minister, Phibun Songkhram, reasoned that the name of the country should correspond to the racial identity of its people. This directive was part of a larger campaign to pressure religious and ethnic minorities to embrace the ‘national’ culture being formulated by the military regime. Phibun’s ill-fated alliance with Japan and subsequent fall from power discredited most of his cultural reforms, including the name change. Under the leadership of Pridi Phanomyong, the Thai government renounced its pro-Axis past in order to improve relations with the Allies. On 7 September 1945 state leaders announced that they had changed the country’s foreign-language name back to ‘Siam.’ This reversal lasted only three years. The civilian government was overthrown by a military coup in 1947. Phibun’s return to power in 1948 brought with it the restoration of the name ‘Thailand’. Even today, the country’s foreign language name is the subject of some controversy. The name ‘Thailand’ enjoys the support of ruling factions seeking to maintain cultural uniformity, while other groups seek to restore the name ‘Siam’ along with a greater sense of ethnic and religious pluralism.